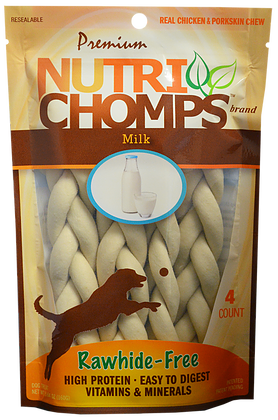 This 4-count package of wholesome Real Milk braids offers maximum flavor for your fur friend. Nutri Chomps are 100% Rawhide Free dog chews and made with real Chicken & Pork Skin. 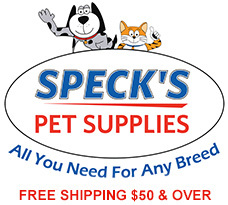 These 6" assorted braids are Vitamin & Mineral Enriched and recommended for dogs weighing 30-50 lbs. A great-flavor, rawhide-free chew that is sure to become a favorite for your dog.